A FAST growing Wrexham copier company has secured a second five-year deal with a global pharmaceutical giant. Rawson Digital, based at The Bridge Business Centre on Wrexham Industrial Estate, has supplied 55 new copiers to Wockhardt UK, the British arm of the worldwide generic pharmaceutical and biotechnology firm which has its main base in Mumbai, India, as well as sites across the US and Europe. It’s an important win for Rawson Digital, which supplies and maintains photocopiers and printers for companies across North Wales and the North West and opened its second sales office in Felinheli, near Bangor, earlier this year. 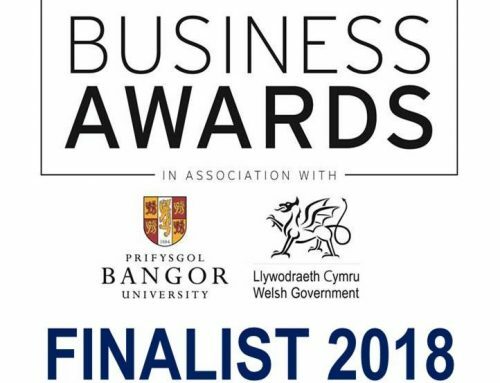 The company, which was named at number 14 in last year’s Wales Fast Growth 50 list, was set up by Managing Director Vaughn Rawson from a back bedroom at home in 2012. It now employs 16 people and has doubled its turnover this year. Vaughn said: “For me, this is a very important deal because it has come about after five years of work, looking after this client and making sure that what we delivered in the first place was right for them and then maintaining the high level of service which we promised we would. “It’s a positive confirmation that they are happy with what we are providing and that has always been one of the guiding principles for the firm and one which the whole team work very hard to protect. “Wockhardt is one of our largest customers and one of our earliest clients and retaining the customers we have got, in a very challenging and competitive market ,is absolutely crucial for now and for our future growth. “I founded the company on honesty, integrity and passion for both my colleagues and customers and I think it is this ethical mix in an industry which can be quite challenging which is really helping us to succeed. 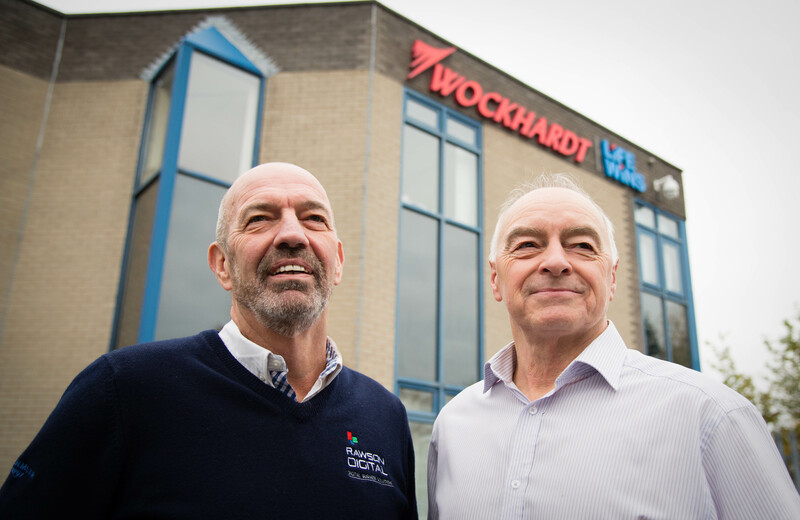 Colin Griffiths, Network Administrator for Wockhardt UK, based on the Wrexham Industrial Estate, said: “We look after the whole site here from a network point of view which is about 420 people across five buildings. “We are a Good Manufacturing Company (GMP) company, which means we have strict systems for ensuring products are consistently produced and controlled according to quality standards and so there are a lot of procedures and policies to be followed. It means we do have high volume printing needs on a daily basis. 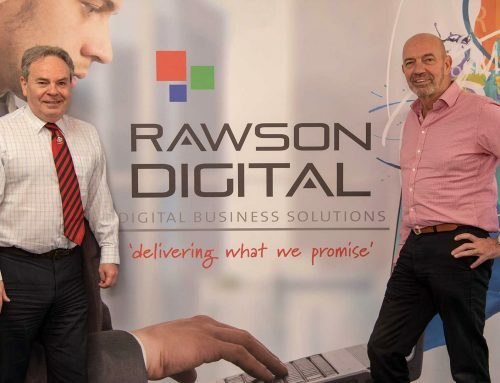 “If a machine goes down then it can cause problems and delays so the benefits of using a reliable, local company like Rawson Digital is that they respond quickly and get us back operational, often within a matter of minutes or hours, rather than days. 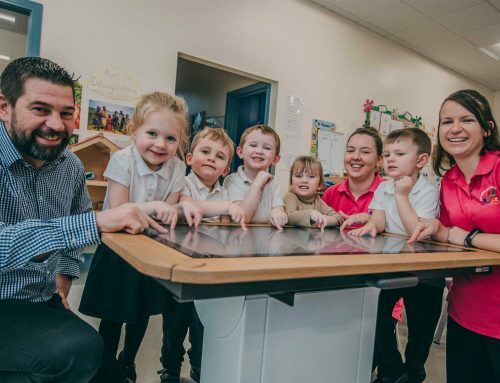 “The team at Rawson Digital are easy to talk to, easy to get along with and when they arrive, I feel confident that I can leave them to get on with it and fix the problem for us. “Whoever you are dealing with, from the Managing Director Vaughn down to the person you speak to at the end of the telephone, they are all friendly, helpful and keen to do a good job for you. Wockhardt UK is one of several large, high profile companies which Rawson Digital supplies. Others include global software leaders Wolters Kluwer, pallet distribution, transport and storage experts Edge Transport and aerospace design, manufacturing and engineering giants Triumph Group. 1: From left to right; Colin Griffiths, Network Administrator for Wockhardt UK, and Vaughn Rawson, Managing Director of Rawson Digital. 3/5/8/9: From left to right; Vaughn Rawson, Managing Director of Rawson Digital, and Colin Griffiths, Network Administrator for Wockhardt UK.